Roots Rock Reggae is a Reggae Rock Bar in the centre of Chiang Mai. Every night there are live bands playing a choice of Reggae, Ska, Rock, Roots and Ragga. Why Roots Rock Reggae is special ? Roots Rock Reggae is Chiang Mai’s premier riddim venue is busy most nights with a mixed crowd of dreadlocked Thais and backpackers with reggae and ska sounds rocking the house. A part of having live bands playing at Roots Rock Reggae every night, they are also involved in organizing live events, concerts and festivals. 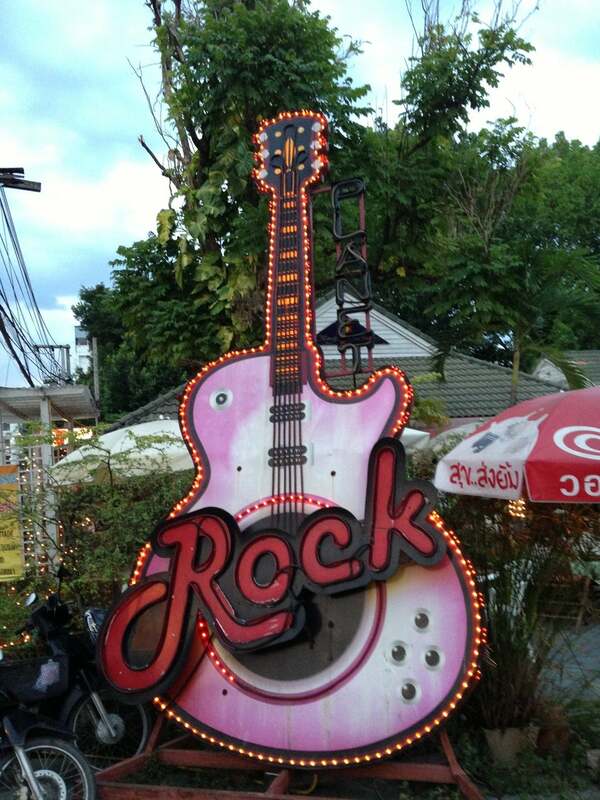 Every night there are live bands playing a choice of Reggae, Ska, Rock, Roots and Ragga, mixed with up to date chart songs and Thai hits, song in English and Thai. How to get to Roots Rock Reggae? Roots Rock Reggae is located right in the centre of the old town of Chiang Mai. It's easy to walk to the bar which is on a small lane arcade off Ratwithi Road. The bar has a great selection of cocktails or you can choose one of its SangSom buckets, popular with the farang crowd. If you do go here, you MUST go to the Thai lady outside for Pad Thai, it is amazing. Met one of the band mates on a bicycle tour and he suggested if I was free to pop by. Decided to give it a go and the band was actually great! Super impressed with the trumpet and horn. Nice drinks, lots of dancing, and great music -- what more can you ask for? Definitely more low key than the neighboring bars but was a great time. This place is always full with amazing music of raggae and I love this place so much!